Signing up for a new service is always a little intimidating, especially when you have no idea what to expect. To help clear up any confusion, we’ll be offering a series of posts to help explain what to expect from TextMyJournal! 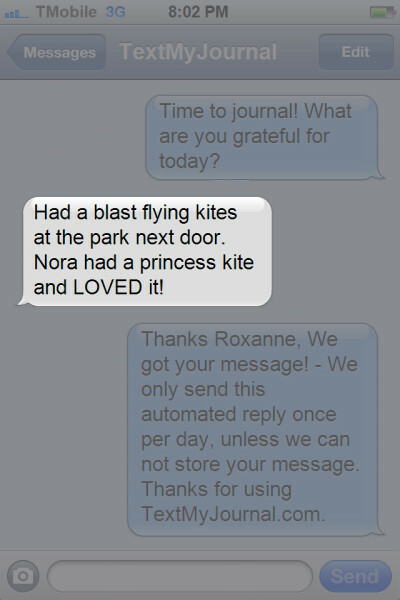 Each day, at a time you specify, you’ll receive a text, just like you would from a friend! 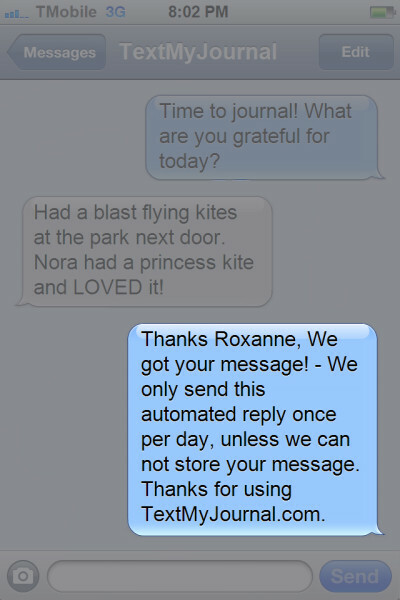 You can choose to receive a randomized text prompt, or you can personalize it. The texts you send are stored securely on a private server, but you can access them at any time by downloading the .csv file from your dashboard screen. You can text pictures and video if you’d like, or just words like the example above. Continue on with your day! 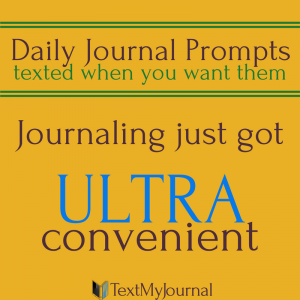 You’ll get a text confirming your journal was received. 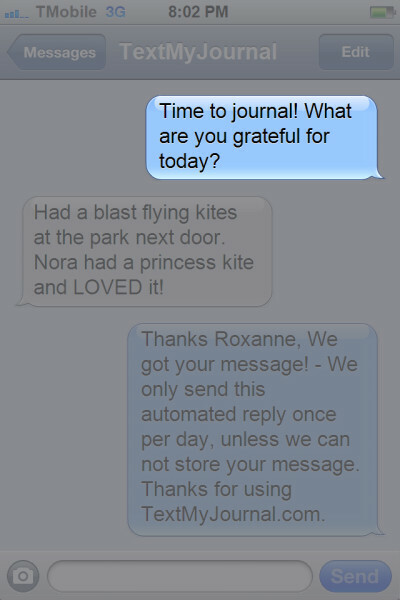 You’ll only get one confirmation text a day, regardless of how many journal entries you send. Stay tuned for more tutorials, and let us know if you have any questions you’d like answered! Leave a comment below, or email us at team@textmyjournal.com.